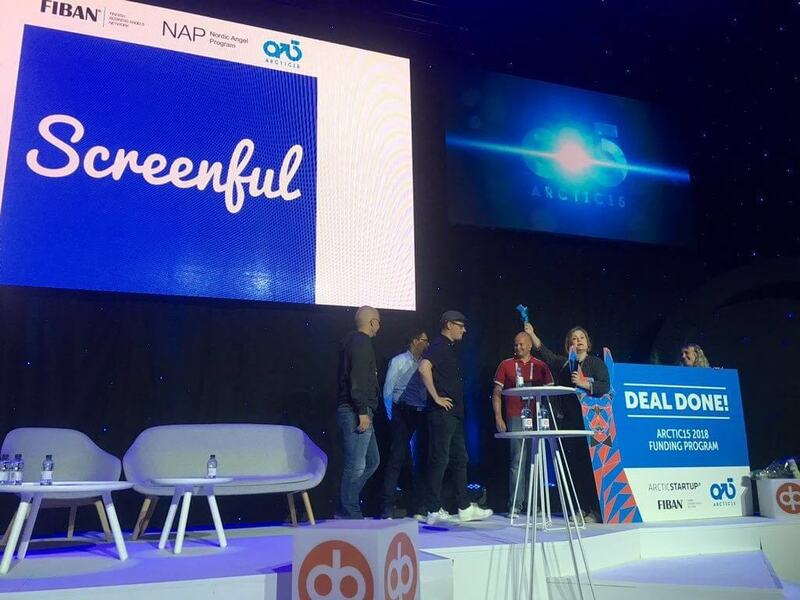 Last year my startup, Screenful, applied to the Arctic15 Funding Program and came out as the winner. In this post, I’m going to share our experience from the program. For starters, we don’t have much experience with pitching events. Most of the time we’ve avoided such events. Why is that? First of all, we’re product developers, not stage performers. The skills that would help us to throw a great pitch on stage has very little to do with the skills needed to make our company successful. We sell our product online and barely ever meet any of our customers face to face. There’s an assumption that every founder spends a lot of time throwing sales pitches left and right, and that pitching is an essential skill you need to have in order to get your startup off the ground. It’s not. Not all startups are equally suitable for pitch competitions. An ideal startup for a pitch competition is one that produces something that everyone understands. Disrupt food delivery? Yes, everyone has ordered food several times in their life and can immediately relate to the problems being discussed. What about a B2B SaaS analytics dashboard? Not so much. As soon as I mention that our target users are software development managers, half of the audience immediately zones out and start reaching for their phones. No matter how cool you (and your customers!) think your product is, the larger audience just won’t care. Because of this, we decided to skip all the pitching competitions and focus on building our business instead. Hey, that’s exactly my thinking. Finally, someone is saying it out loud! And not just anyone, but a person who’s been arranging numerous pitching competitions himself. I was sold. We’ve attended some of the events by ArcticStartup before. I’ve met Dmitry and Jan many times in the past. I knew that these guys can throw excellent events where business deals happen. We actually met one of our first business angel investors at the Arctic15 event on 2015! I rushed to fill the application. 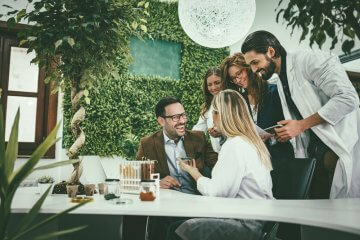 The Funding Program was put together by Arctic15 in co-operation with the Nordic Angel Program, which formed a syndicate of business angels investing the money. The idea was that each of the investors in the syndicate was committed to investing in the startup that was chosen as the winner. Soon after filling the application we got an email informing that Screenful had been selected to the TOP 30 companies in the Arctic15 Funding Program. Nice! The next step was the selection of the TOP 15 based on the voting by investors and the public. I had no idea what our chances were since I knew nothing about the other contenders at that stage. I had filled up the company profile and provided information about the team, the market, our plans for the future, and of course the current financial figures. There was not much else to do at this stage. Good news followed shortly after: we had been shortlisted on the TOP 15. Yay! We were asked to sign a Term Sheet agreement to show that we were serious about raising funding. A date was set for a face to face meeting with the syndicate. Things started to move forward at a faster pace. All 15 finalists were invited to meet the investors in a half day face to face event. Each of us would throw a 3 minutes pitch, and the majority of the time would be devoted to investors to ask questions. After seeing the investors for the first time, I got a feeling I’ve seen some of them before. Then it hit me – I’ve seen them on TV! Some of them were in the Finnish version of the Shark Tank! When it was my turn, I walked into a room with a bunch of investors (yep, not unlike in the TV show). I threw my pitch and received some nods and approving looks. The following 30 minutes was spent on Q&A in an informal setup. It all went well and I left the event feeling I had done my best, and all I could do now is to leave it to the hands of the judges. 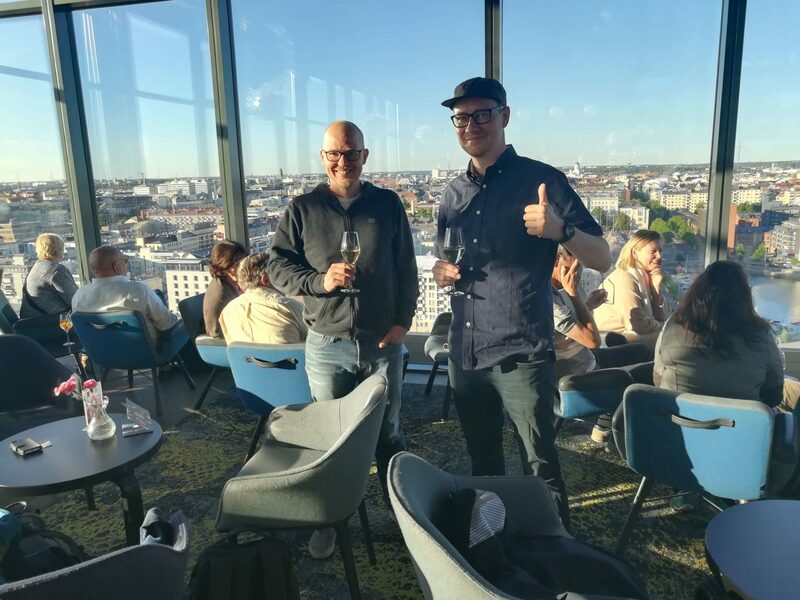 On the sunny day of the 23rd of May, while I was attending the SHIFT event in Turku, I received a phone call from Reima Linnanvirta, one of the investors. The syndicate had decided to invest in us. What great news! The next step was Due Diligence. I sent more than 100 documents in a zip package on Friday just before the 6 PM deadline. The follow-up meeting was scheduled for Monday morning. I was pretty certain that the investors would not have time to even look at the contents of the package by Monday. To my surprise, I received a response by email on Saturday evening requesting one missing document. I was impressed, these guys seemed to be serious! The winner was going to be announced on stage at the Arctic15 event. First, there was a round of introductions for each of the 15 finalists. I felt relaxed as I was among the few that knew already who was going to pick up the 1st prize. Later that day the winner was announced. 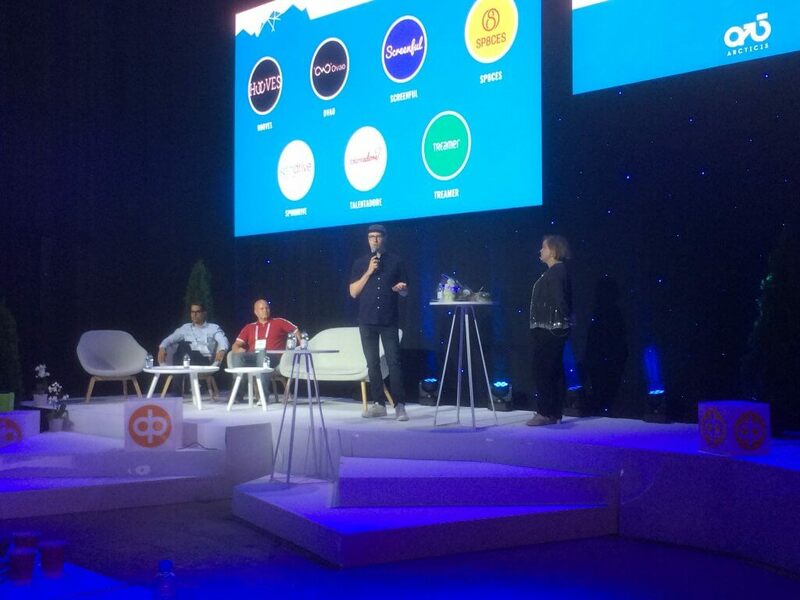 I went to the stage together with my co-founder and the representatives from Arctic15, FiBAN, and the Nordic Angel Program. The microphone was passed from one person to another. The details of what was said didn’t matter anymore as I was feeling uplifted. The contract was signed live on stage in front of the audience. I recall feelings of accomplishment and gratitude. It was a great day. The thing with startup investments is that when you most urgently need an investment, it can be very difficult to get one. But when you’ve made it through the hardest part, and found enough customers to support you, getting investment is much easier. The dilemma is that at that point you don’t necessarily need one anymore. We were in a lucky situation that we had just hit break-even with 3 three team members and 250 paying customers. Yes, it sounds like a lot of customers and very few people. It took longer than I had thought (4 years), required more customers than I expected, and had to be done with a smaller team that I had anticipated. Good, I didn’t know that when we started. It would have felt like a mission impossible. So at that point, we didn’t absolutely need an investment. We could have continued our steady (albeit slow) organic growth. But bootstrapping starts to take its toll when continued too long. You have to save on everything. You pay lower salaries than the market rate, you don’t have an office (we worked from home and from co-working spaces), you avoid spending money on anything but absolute necessities. It makes you fit but can put a toll on your morale. But for us, even the more important reason to seek an investment was the competitive landscape. We had seen several new companies entering the same space in the previous few years. They were still mostly small teams and based on how they looked, they seemed to be bootstrapping as we did. But what if one of them gets a significant investment and we don’t? Wouldn’t that put us in a position of disadvantage? Even if none of them looks for investment, wouldn’t it make sense for us to raise money to secure the position as the leader of the pack? It seemed that raising money at this stage was not only an opportunistic move but also a necessity for the long term survival. Winning the Funding Program made it easy to complete our funding round quickly. The total amount invested by the syndicate was €115 000. On top of that, the round was joined by Gorilla Capital together with some private investors increasing the total round to €305 000. Once the news broke, several VCs and private investors contacted me and offered to join the round. However, we felt this was enough for our seed round. What have we done with the money? Most importantly, we have hired more people. We’re now a total of six members, three in Helsinki, three in Yerevan, Armenia. We also rented a nice office in a converted bread factory in Sörnäinen. Finding an office, acquiring all the equipment and the furniture took a bit of time but was all worth it. We now have a place to work together (or at least half of us) in a more efficient way. You don’t have to be a rock star in order to raise money from investors. An excel sheet containing some impressive numbers can work better than the best one-liners rehearsed in front of the mirror. Arctic15 can be a great event to get an investment since it’s focused on dealmaking. We have a track record of 2/2. We’ve attended twice and scored twice. Sami Linnanvuo is the CEO and Founder of Screenful, the company that turns data into stories. You can reach him on Twitter for anything related to data analytics, product design or Arctic15 Funding Program. 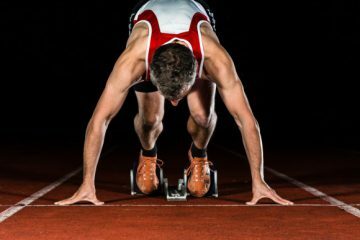 Are You Nearing Your Startup Launch Date? Go With A Bang.